Remember back in the 2015 playoffs, New York Mets infielder Daniel Murphy wreaked havoc in the month of October, hitting a home run in six consecutive postseason games? He would later be named the National League Championship Series MVP, as he catapulted the Mets into the World Series. A hot streak like Murphy’s is a crucial component for any team’s successful playoff run. With the 2018 season winding down and teams finally clinching their playoff berths, let’s look at who can show out for their ball clubs in the American League. This man is an absolute stud. Really, most of the Astros are bonafide stars. 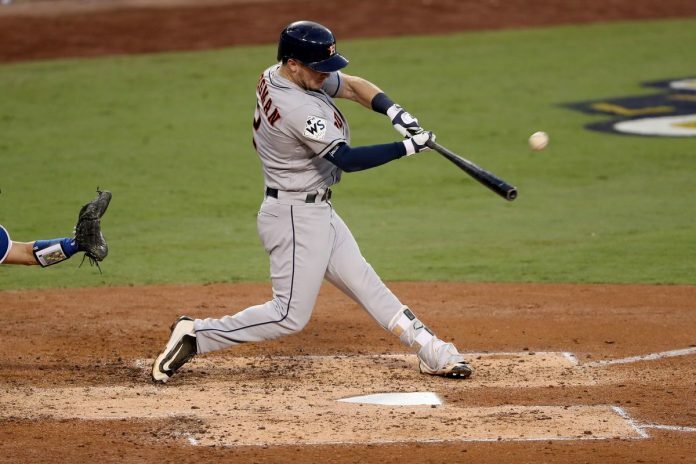 But with guys like Jose Altuve, George Springer, and Carlos Correa making separate disabled list appearances, Bregman carried the defending champs throughout the summer. The third baseman not only leads his team in RBIs, HRs, and runs, but also in all of the advanced stats categories. He’s slashing an impressive .288 AVG/.396 OBP/.535 SLG. He ranks seventh in the majors with an even more impressive .931 OPS. In the month of June alone, he smashed 11 home runs, while driving in 30 runs. If Alex can go into October as hot as he was this summer, the Astros will be a tough team to beat behind that offense and their league-best pitching staff. 3B Jose Ramirez, SS Francisco Lindor, DH Edwin Encarnacion, and even former MVP 3B Josh Donaldson can each be considered for this list for their respected Cleveland Indians. But none of them has been more impressive this September than Michael Brantley. The 10-year vet is finally having a healthy season. Before shoulder problems hindered parts of the three past seasons, he was Mr. Consistency for the Indians. He’s played in more games this season than any season since 2015 and he’s had a very consistent, impressive 2018 season. The Cleveland Indians desperately need to score their runs in bunches in October, as their bullpen ranks 23rd in earned runs allowed with 4.50. 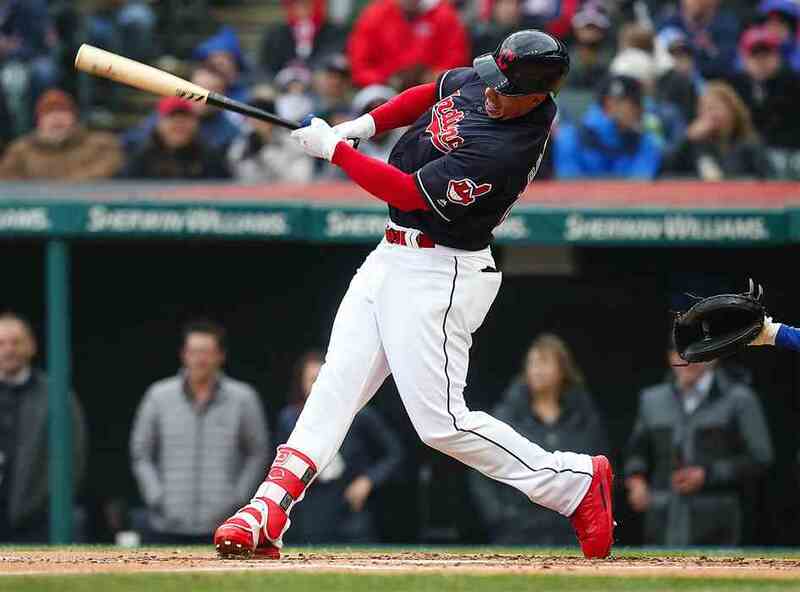 If Michael Brantley can continue getting on base at a great clip, he will be the guy that scores when guys like Ramirez, Encarnacion, or Donaldson get a game-changing swing. Speaking of game-changing swings, the New York Yankees are dubbed the Bronx Bombers for a reason. The Yanks lead the MLB in HRs by a lot. They even recently broke their franchise record in home runs and the record for most players with double-digit home runs last Thursday. 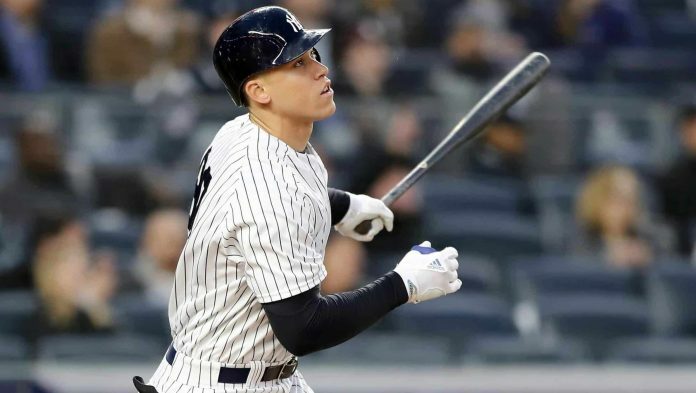 Last year’s National League MVP OF Giancarlo Stanton leads the pack in homers, but the guy to watch in this year’s playoffs is the guy opposite of Stanton in the outfield, Aaron Judge. The man recently returned from a DL stint that saw him missing all of August and most of September. Right now, the Yankees are easing Judge back into the lineup, preparing him for the postseason. Don’t be surprised when he’s back to his MVP form, when he’s smashing moon shots for New York in October. 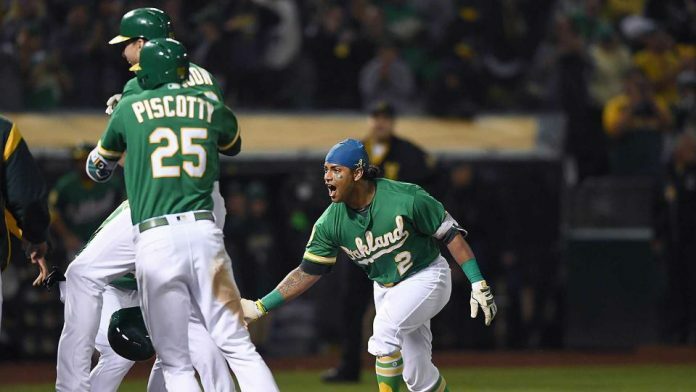 Similar to the Minnesota Twins last postseason, the Oakland A’s are the biggest surprise team to make it into the playoffs. They gave the defending champs a run for their money in the AL West division. But in order for them to continue their Cinderella story, Oakland has to get through the powerhouse New York Yankees in the Wild Card round. Their impressive offense is led by the home run leader Khris Davis, along with young studs Matt Chapman and Matt Olson. Also 10-year veteran Jed Lowrie has rejuvenated his career with his second stint with Oakland. But the heart of this team beats through Khris “KD” Davis. In his only three seasons with the A’s, KD has joined the 40+ home runs and 100+ RBIs club each year. His power surge could be a central piece for a deep playoff run for the Oakland A’s.